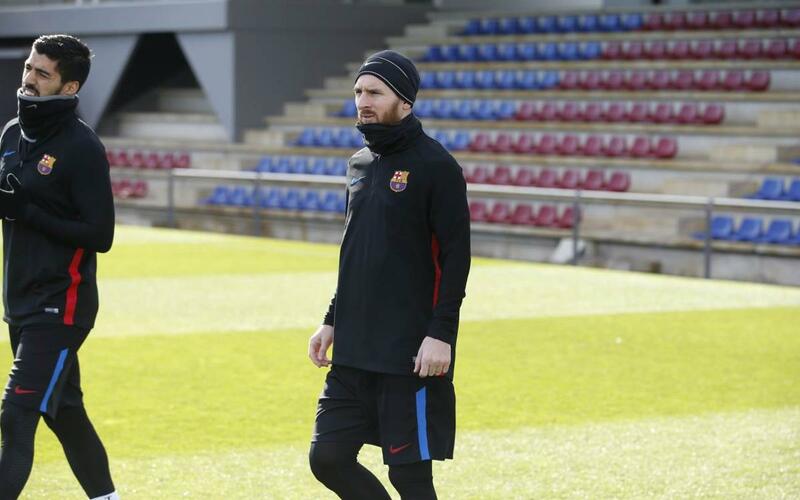 Who's in Barça's squad to face Espanyol? FC Barcelona has a derby on its hands for the third time in three weeks, when Ernesto Valverde and a squad of 19 players will make the short trek from Camp Nou to Cornellà for a 4:15pm CET kick off at RCD Espanyol Stadium. Here's the list, as announced by the coaching staff on Saturday: Ter Stegen, N. Semedo, Piqué, I. Rakitic, Sergio, Denis, A. Iniesta, Suárez, Messi, Cillessen, Coutinho, Paulinho, Paco Alcácer, Jordi Alba, Digne, S. Roberto, Aleix Vidal, Umtiti, Yerry Mina. Before releasing the squad list, Ernesto Valverde and the coaching staff oversaw the team's final preparatory session before Sunday's game. Ousmane Dembélé took part in the session but has yet to receive medical clearance, thus keeping him sidelined for Sunday's derby. Thomas Vermaelen and André Gomes are also out.